Like other meat chops, a pork chop is a cut that is taken to the spine of the pig perpendicularly and most of the time containing a rib or a part of the vertebra and is served as an individual portion. And it takes roughly the same length of time to cook a well-done steak in a pan. 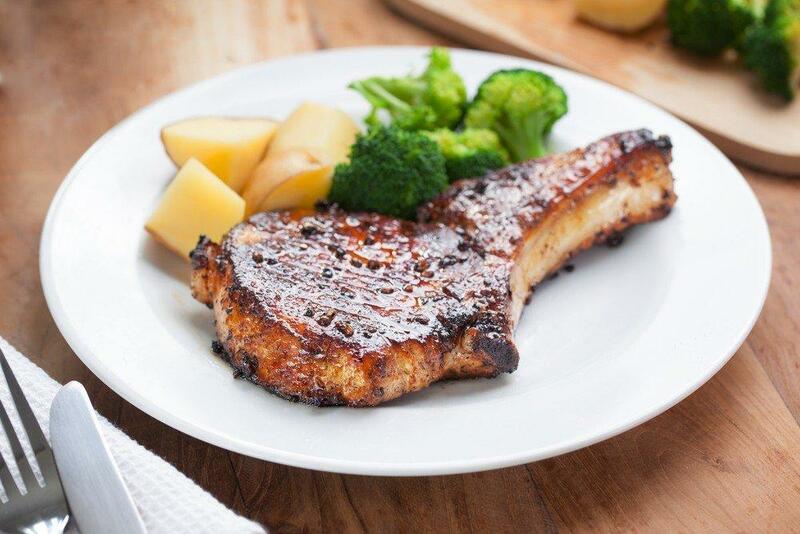 Known to be a good source of protein, do you know about pork chop calories?.. Here, I will not just help you learn the calorie content of pork but also the other nutrition that it has to offer. Along with that are the recipes that you can make out of a pork chop. So, here we go! How to Prepare Pork Chop? But first, let us discuss how to prepare pork chop. 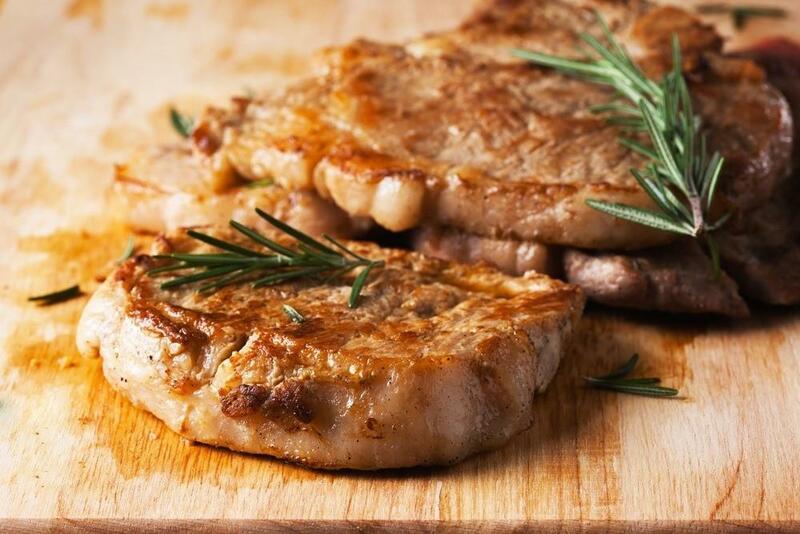 Indeed, pork chops are perfect for frying, grilling or roasting. However, numbers of recipes could also be considered. They could be used bone-in or boneless. 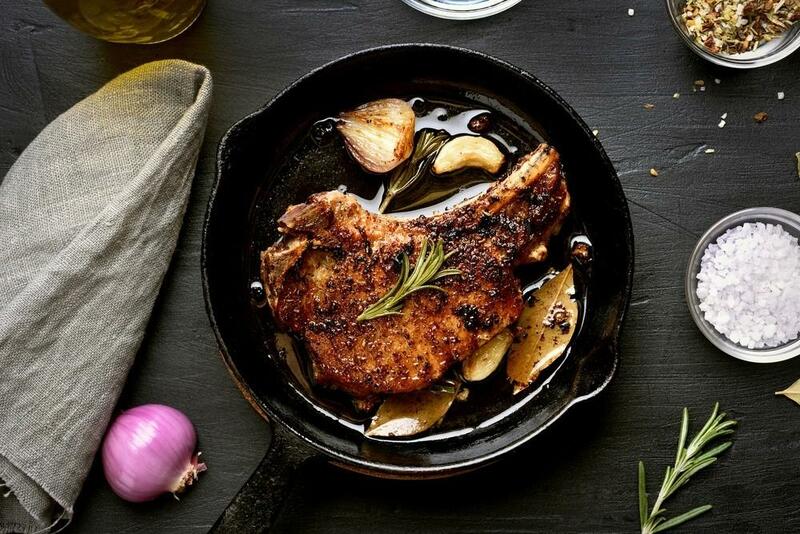 Usually, pork chops are cut between ½ inch and two inches thick. Due to improved breeding techniques, it is possible to cook pork at a lower temperature making the meat juicy and safe to eat. For the chop to be cooked properly, a digital thermometer must be used to measure the pork chop into its thickest part avoiding the bone. And if the chop reaches the advised internal temperature, it could be removed from the heat to rest for at least three minutes. 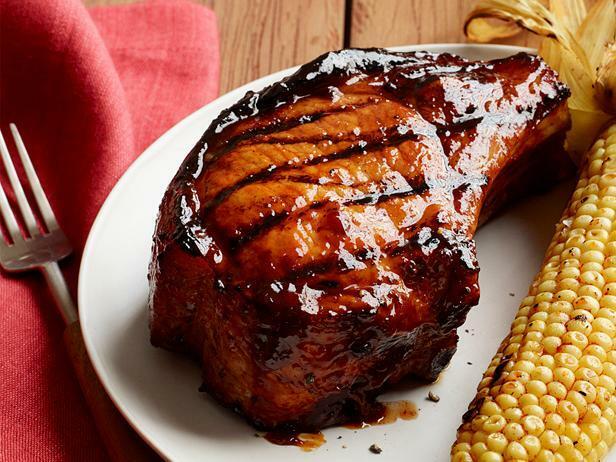 Indeed, pork chops could sometimes be marinated as for adding flavors such as marinades including barbecue sauce or chili sauce. You might also brine pork chops as for maintaining moistness, and you could even wrap the pork chops in bacon to add a lot more of moistness as you cook them. The pork loin chop or the center cut would include a large T-shaped bone and is structurally the same as the beef T-bone steak. The rib chops, on the other hand, come from the rib portion of the loin and could be the same to the rib eye steaks. Next is the shoulder or blade shops which come from the spine and they contain more of connective tissues. Iowa chop is another variation which is a thick center cut and was coined by Iowa Pork Producers Association in 1976. There is also the bacon chop which is a cut from the shoulder end, therefore, leaving the pork belly meat attached. And of course, you might wonder about pork chop calories and other health benefits that it could offer. There are certain cases wherein it gets an unfair judgment and so considered as an unhealthy type of meat. And that is why understanding the real nutritional value of the pork chop might help you with this matter. Most people would consume an average of 2000 calories a day. So, everything that you eat would contribute to this total amount. The advised serving size of the pork chop is six ounces, and every serving contains 152 of calories. Protein is indeed a vital factor to a balanced and healthy diet. If you consume 50 to 175 grams of protein every day, it could support your health goals and could help in maintaining a healthy weight. A pork chop would contain 15.6 grams of protein, and this is equal to 31% of the advised daily value. Once you consume an average of 2000 calories, then limit your total fat intake to 44 to 78 grams of total fat every day. Besides, limit the saturated fat intake to at least 15 grams a day. So, a pork chop has 9.5 grams of total fat that includes 3.3 grams of saturated fat, 1.2 grams of polyunsaturated fat and 3.9 grams of monounsaturated fat. Saturated fat is considered as the unhealthiest kind of fat being compared to monounsaturated as well as polyunsaturated fats. So if possible, limit the consumption of saturated fat. A pork chop also contains concentrations of iron. It is recommended that male adults between the ages of 19 to 50 consume 8 mg of iron and on the other hand, female ones with the same age should consume 18 mg of iron. And those male and female adults that are over the age of 50 must consume 8 mg a day. And on average, a standard-sized pork chop will contain 4% of the advised daily value of this nutrient. There is a need to limit the intake of cholesterol from the food sources to 300 mg every day. 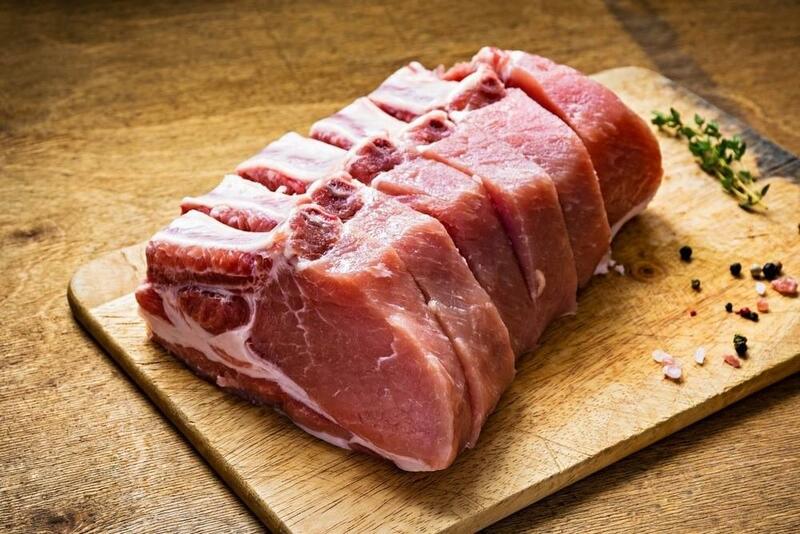 A pork chop would contain 52 mg of cholesterol that is about 17% of the advised daily value. Zinc is important for the creation of the new cells which normal growth as well as development based on getting enough of it in the diet. Women will get 23% from a 3-ounce pork chop while 17% for men. 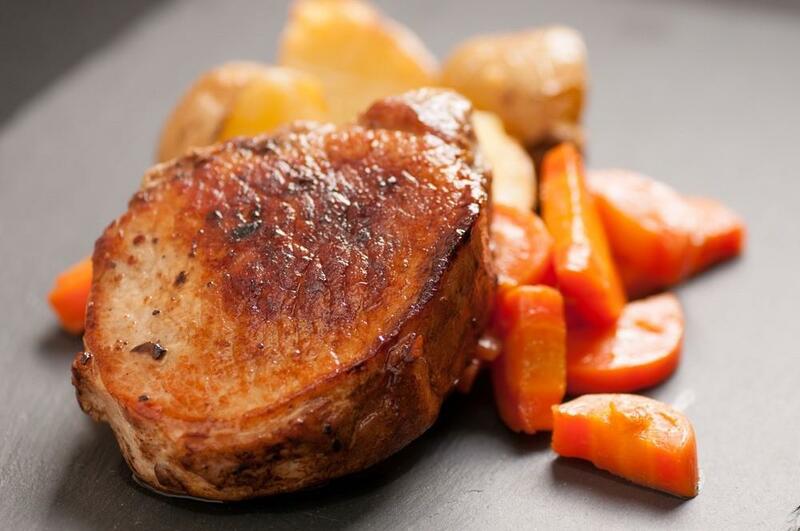 On the other hand, pork chops offer all the B Vitamins except folate making them a good source of three which contribute to the cardiovascular health. As said earlier, there are many ideas for recipes that you could make out of pork chop. I will discuss these ideas along with knowing pork chop calories that might shock you. 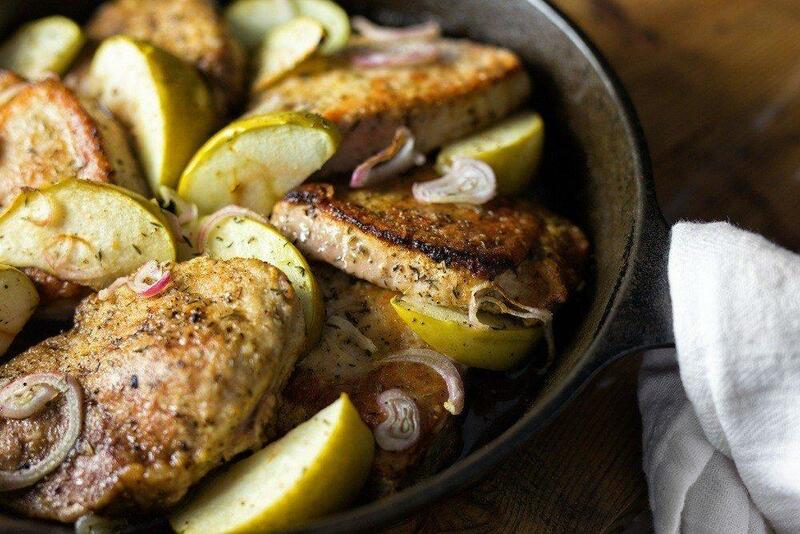 You might consider doing this one-pan dish as a modern twist on the classic pork chops as well as apples. 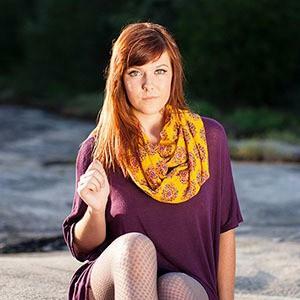 It is a bit simple and perfect for easing into fall. Besides, it also comes with a pan to boot, making the process of cleaning a lot more comfortable. And this dish also works with chicken thighs. And the calories for this recipe could reach to 254. You must not oil the grill rack prior to grilling so the meat would stick a bit. This is a technique referred as scuffing and it increases the surface area of the meat so you could get more of the delicious, crispy crunchy and lightly charred exterior. And for non-stick grill racks, you should lightly score the surface of the meat in creating more surface area right from the start. And this recipe could offer 286 calories. Another great idea is a dish that could work well with chicken especially if you don’t have pork on hand. A simple way to develop a good depth is to toast the turmeric in oil, and you can try this with any spices of your choice. 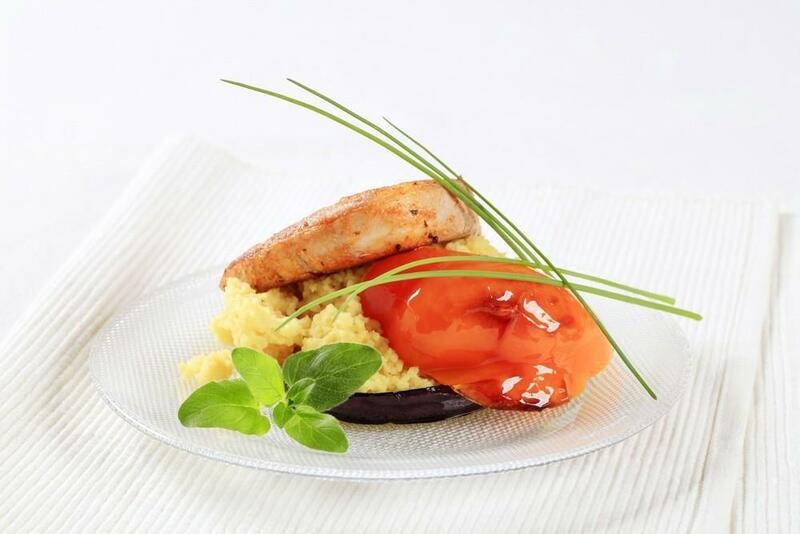 Couscous could be a quick and versatile dish which readily adopts various flavor profiles. The Israeli couscous has more of a bite to it and could be served chilled for to-go lunches and picnics. And the tomato caper-sauce might pair well with some other proteins beyond poultry and pork like shrimp or sole that is cooked with butter and garlic. You can also have 455 calories if you will try this dish. 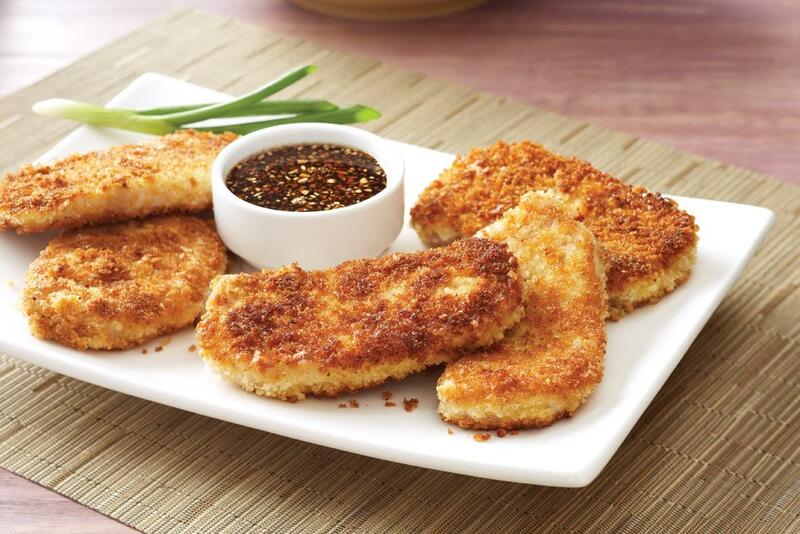 With 215 calories, this one is considered as an easy and quick version of the Japanese dish referred as Tonkatsu featuring pork coated in panko breadcrumbs then kicked up a mark with spicy wasabi. Both of the said ingredients could be located in the ethnic-foods unit of your local supermarket. If you don’t have sherry or sake on hand, then you can use chicken broth instead. And you can serve it with rice as well as steamed carrots and snow peas for a complete meal. Those are some of the ideas that you can come up with as you plan to cook pork chop and enjoy its delicious taste. Coming up with your own recipe or dish could also be considered so long as the taste meets your preferences. And definitely, you could learn pork chop calories as well. 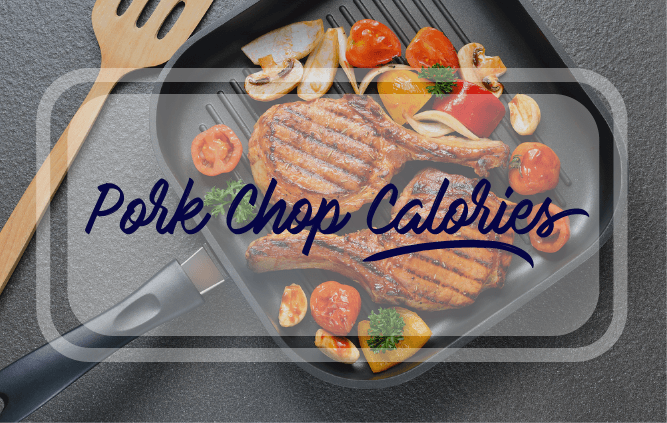 Now, are you still curious about pork chop calories? 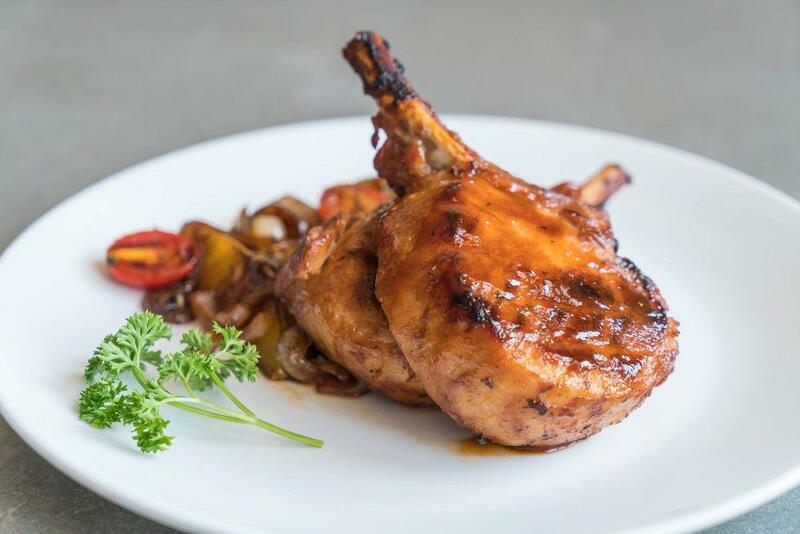 Aside from providing you the nutrition facts which specify the number of calories that a pork chop has, you are also granted with some recipe ideas that you will surely love to try now! I hope this post helps you answer your query about the amount of calorie that a pork chop has and eventually the overall health benefits that it could offer. Like this post? If yes, don’t hesitate to hit the like button and leave your thoughts below for any suggestions or questions. You can also share this article with your friends and loved ones and let them learn the nutrition facts of a pork chop. Happy reading and cooking everyone!